The following text (in black) is the complete transcript of Red Sox GM Dan Duquette's online chat as it ran live and/or was later posted on the redsox.com website on Thursday, September 6, 2001. For those of you who have not participated in a chat, it is typically a one-hour flurry of questions posed (here supposedly by Red Sox Nation) and answered (supposedly straight from Dan Duquette's mouth) on anything Red Sox related. As Gordon Edes and Dan Shaughnessey can attest, the turnaround is so fast that you would never see such badly constructed sentences so perfectly posted, i.e. it makes no sense, but there are no misspellings which are inherent to most chats in an effort from the participants and hosts to shoot-from-the-hip-on-the-fly to make it a true "chat" dialog, while moving to the next question asap. You'll see the text below has all the spontaneity of taxes due on April 15th (and it's truly mentally taxing to read). RedSox.com chat (but not like the little chat he had with John Cumberland last weekend) Boston Red Sox General Manager Dan Duquette, September 6, 2001, 2:30pm EDT. (final edit on all questions and answers was actually completed on September 4, 2001 at 10:30am EDT by Duquette Public Relations Dream Team... quickly turning into a nightmare). cdouglas (no such person exists anywhere on the planet): How do you feel about Nomar’s comments on why players don’t like to play in Boston (PR guy says, let's take this one on right out of the gate so they'll think this is for real)? Duquette: With regards to the first part of the question (he's already trying to divide and conquer us), I think that a lot of the reason why there have been these comments made in general (yeah, but this is a specific question about Nomar's comment Dan) is due to the fact that everyone is frustrated with the results on the field recently (obviously, but how do you feel about Nomar's comments?). As far as the question as to whether players want to play in Boston, I think (not often enough) you need to only look at this team that we have right now (he's trying to make us dizzy here). You see players like Manny Ramirez (who he had to throw $160 million dollars into a wheelbarrel to get) and especially a player like David Cone (in the running for 'Dirt Dog of the Year' by the way), who has played in several major market here we go with the 'market' cities – including both teams in New York (another red herring, he doesn't answer the question of 'do major league baseball players want to play in Boston while you're at the helm'?). Both (again with the 'both', like this is an impressive number) of them chose to play in Boston. Cone is a veteran pitcher who has seen it all and has accomplished so much and he continues to talk about how great it is to play in Boston – how great the fans are (yeah, we keep paying and showing up no matter what), how great it is to be on a team with a history such as ours (would this be the 83 year history of frustration or the history of your draft picks after Nomar?). Absolutely (will empty the vault to sign anyone who can fit in the uniform, no matter how old, injured, or uninterested they are in winning a World Series). The proof is in the players who (speak out against the front office on a daily basis) have made their choice to come here ('both' of them). Remember that Pedro signed a long-term deal (how can we forget when the 'employee' reminds us about the length of his 'contract' which was, 'by and large', the largest salary for a pitcher at the time) to stay in Boston (until he can legally bolt to the Yankees). He loves the city (of Santo Domingo) and he comments on how much he loves pitching here in front of the fans (who moved here from the Dominican Republic). Yankekilla187: (are they serious with this fake name? What, was 'Yankeekilla187' with two 'e's in 'Yankee' already taken?!? Are we supposed to get fired up because this fake alias is named 'Yankekilla'?!? WE ARE NOT IDIOTS DAN), Is it true that Manny said that he wished he never signed here? Duquette: Manny Ramirez chose to sign in Boston and play here last December (when he emptied the Yawkee Trust Fund right into his suitcase). And he had the option of re-signing with his team (who he misses soooo much) in Cleveland ( for a lot less money than he wants to give back now of course) or coming to a new market (what did he switch from Shaws to Stop-n-Shop?) in Boston. And we’re glad that he chose to sign with the Red Sox (because Duke would have had to resign in May instead of next Wednesday). He played his entire career after signing out of high school with the Cleveland Indians (how many more miles away can he get from the 'did he or didn't he say he'd give all the money back to leave last week' question? ), and there’s a transition for anybody when they start a new job, and in Manny’s case, he was starting a new job in an entirely different market (again with the friggin' market) from what he was used to. So naturally, there are adjustments to be made when you change jobs (hopefully you'll be speaking from first-hand experience soon) to new surroundings (yours being Tokyo as a scout for The Daiei Hawks of Japan's Pacific League), new people (to color Manny's hair in Ft. Myers while the Dirt Dogs were dying in the Texas heat in the 18-inning season-ending-while-playing-shorthanded game), new responsibilities (putting those band-aids on perfectly when covering his earrings every day), and we’ve been working with Manny since he came to Boston to help him get comfortable in Boston (we moved all the old clubhouse couches to his new suite at the Ritz). The fact that he got off to a great start was very helpful (in my keeping this job), but the team’s recent slide (as he continues down this slippery slope) is something that he and us (we say 'we' at UMass Amherst Dan) are not accustomed to dealing with (notice how he hasn't answered the question yet?). I still believe that Manny is going to be recognized over time as one of the great left fielders in the history of the franchise (right after Greenie and Shane Mack). And in time, he’ll be very comfortable in his new surroundings. Duquette: We’ve talked to both David Cone and Hideo Nomo and let them know that we would like them to return to Boston for the next season to be part of the team (as opposed to returning to Boston to retire?). They’ve both pitched very well for the team (again with 'the team') and they are very professional in their demeanor, which the team (three time's the charm I guess) really appreciates. And they’re good role models for our young pitchers (like Sang $4-million-wasted Lee? ), on the field and in the clubhouse (they teach them how to box out the beat writers after games). Cone, especially, provides leadership throughout the organization, and we were thrilled that he pitched a great game on Sunday against the Yankees (he's singling out this game like it was some great moral victory over 'the Yankees'). Our starting rotation is much stronger, of course, when Pedro Martinez is healthy (like he was back in Montreal) and is capable of taking his turn in on a regular basis. His presence on our pitching staff makes everyone better (get ready to step into the rotation early and often). Distortionfctr: (this one must be Dan's own alias, because the Distortion Factor is really running high in this chat) Will Nomar and Pedro shut it down for the rest of the season to rest their injuries, and what's the status of Jason Varitek (the latter was originally a separate question, but the post-editing indicates he thought he could bury it at the end of the Nomar/Pedro question)? Duquette: Pedro is scheduled to pitch against the Yankees this weekend, and he and Joe Kerrigan will discuss and decide what he’ll do after that (kick back with a couple of Presidenté's or smoke an El Tianté Cuban). I’m hopeful that he’ll be able to pitch for us for the rest of the season and make a contribution (hmm, is he saying he hasn't made a contribution yet this season?) to the ballclub. But obviously if Pedro is hurt – he is the best judge of that (after he publicly humiliated you this week) – we would not ask him to go out there and pitch. Both Dr. Morgan and Dr. Yocum told Pedro and the club to let Pedro’s symptoms be his guide as to whether or not he can pitch. It’s in the collective long-term (bargaining agreement and in the) interest of Pedro and the Red Sox that he rehabilitates his shoulder extensively this winter so that he can take his regular turn (May-July) over the coming (three) years (left on his contract, as it isn't about winning a World Series for the Boston Red Sox anymore). When Pedro was in our rotation, we were in first place in the AL East. After he was out of our rotation for a period of time, we started to feel his absence on a competitive basis (read: we can't even compete in the American League without Pedro in the lineup). Nomar is currently resting his wrist from tendonitis and is embarking on a physical therapy program (that doesn't involve doing 200lb. curls) designed to increase the range of motion in his wrist. I’m sure you share our disappointment that Manny, Nomar, and Pedro have not played one game together this season (yes, tried to get my $55-for-not-really-the-lower-box-seats tickets refunded... no dice) . But is Nomar out for the rest of the year? I don’t know the answer to that question yet (of course he does, we all do). Jason Varitek is continuing his rehabilitation program (has no choice now that he re-injured himself after you tried to rush him back) for his elbow and we expect that he will return at the start of Spring Training 2002 (news to you Tony Massarotti?? re: August 12th). It’s difficult for any team to lose a catcher in the middle of a season because catchers are involved in every defensive play in the ballgame (is he talking to a six-year-old here? And did he ever give us the 'status' on Jason or is he just giving us the 'rehabilitation program'-Stepford-wife answer?). Jason had made great improvement in his slugging (but not in his recovery unfortunately) and on-base percentage and was playing very well at the time of his injury (that 'the team' caused with that oh-so-fine looking hard rubber mat). He probably would have been an All-Star (don't remind us). freak24: (who is this Manny's cousin?) 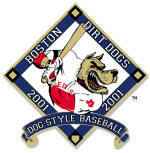 Which farmhand/prospect do you believe is most ready to help this Ballclub in 2002? Duquette: Casey Fossum, who’s currently on our roster (because the wheels came off on the bargain staff of rehabs and reclamation pitching projects), joined our ballclub from Double-A (because we have absolutely nothing beyond Ken Hill at Triple-A), and he’s done a nice job supporting our pitching staff this season. I believe that he can help our ballclub either as a starter or left-handed reliever (thank God, because Casey throws horribly right-handed) next season. He got very valuable experience with us this year. We also recently promoted Izzy Alcantara (two years too late) who should be able to help us (now that it's over) with the bat next year (read: cheap DH because any additional money we have is already committed to raises for everyone). Sunny Kim also rejoined the team (after we exiled him after that gutsy performance in Texas), and he has shown real promise to help our pitching staff next season. One player that we recently promoted that not many fans of the organization may be familiar with (because we had to dig really deep to find a prospect in the bunch) is second baseman (Must-be-missin'-an) Angel Santos (had to beat Chris Berman to the punch, just in case he makes it). He played just about the entire season (what he didn't 'shut it down' like the Boston 'Shut it Down' Red Sox?) at Trenton and put up some impressive numbers – 14 HR, 52 RBIs, 32 doubles and 26 stolen bases. He led the Trenton team in total bases, which is a significant accomplishment for a middle infielder. He is a switch-hitter who has good hands (easy Dan) and according to Frank Malzone, makes the double play better than anyone else we have in the organization (better than Jose? No way). I’m hopeful after he plays winter ball in his native Puerto Rico this winter, he’ll (come by to visit you at your retirement home in San Juan) be in a position to compete for a place on next year’s Red Sox team (as the price is right). Speed is something the club (hasn't had in over 100 years) be looking to improve in the off-season (since we rarely improve once the season starts). dave1jm1: (one of Dan's 'college buddies' here) I believe it has become obvious (only Duke speaks like this) that we are in desperate need (to get you to resign) for a lead off hitter, another starting pitcher, and another solid bat. Who are we going to go after to solidify our lineup? Duquette: A dependable lead-off hitter is one of the keys to having a consistent offensive attack (here we go with the Baseball 101 lesson again... the question, like all the others you didn't answer is 'who' Dan, Johnny Damon or Rickey Henderson?). In addition to on-base percentage and speed, patience (mine is running thin after sifting through these manufactured answers) at the plate is one of the key attributes for the job. Jose Offerman was one of the premiere lead-off hitters in the league in 1999 and helped us to our best record in several years. Last night (after the horrific nine game losing streak), Offerman at the top of our lineup along with Nixon (doesn't Lou Gorman's boy have a first name Dan?) scored seven of our team’s 10 runs (Wow 10 runs eh? Against Double-A Cleveland pitching nonetheless. And after scoring the same amount of runs over the previous two weeks). Finding a consistent lead-off man is one of the key jobs that we have in order to assemble a championship (driven team? Is that you M.L.? Is this what you've doing since Paul Gaston canned you?) team for next year. It’s our hope that we’ll have a much healthier 2002 Spring Training and season (Once again, this packaged answer couldn't be further away from the question 'who are we going to go after, Giambi or Sam Horn?'). nate33: (some clown actually convinced him adding numbers like '33' at the end of the email name would make it feel more real) How is your communication with new skipper Joe Kerrigan? Duquette: Joe Kerrigan established himself as one of the top coaches (pitching coaches Dan, pitching coaches, this is not Parcells we're talking about, it's not football) in the Major Leagues with people on the job (i.e., not John Cumberland). He’ll have an opportunity to use all those skills in Boston (as assistant coach of the Celtics). He has established a policy for himself as a manager (which Duke wrote into Joe's contract himself), which he learned from his time with Felipe Alou (can he remind Joe any more that this is guy he wanted, but like everyone else, won't work with him) in Montreal – which is to talk with the front office of the team on a daily basis (either directly or through his clubhouse source). So based on an on-going dialog with Joe Kerrigan (he installed those little helmet headphones from the NFL into Joe's Red Sox cap), I would say that our communication is constant and regular (every hour on the hour) and hopefully productive so we will win some (not all but some) games! MrBill82x: (no one's used this bad alias since Clinton at a Holiday Inn in 1982) Who is accountable for the recent struggles of the Red Sox? Duquette: Ultimately, the GM is responsible for the performance of the team on the field (and off the field? Elaine Weddington? B.J. Baker?). And if you use the analogy of a crew boat, it’s helpful if everyone who has an oar is working together for the entire race and rowing in the same direction (nice touch Amherst College wise-guy, but you obviously don't have both oars in the water yourself). Going into Spring Training on paper (where we are always World Series bound), we had the best 3-4-5 hitters of anyone in baseball (can someone please explain to me who the third guy is after Nomar and Manny... Carl, Dante, or Troy?? ), and one of the best combination of players up the middle in Varitek, Garciaparra, and Carl Everett (please be serious). Unfortunately, we had injuries to our key players – players that we recruited for the team because they can provide a competitive difference to the team (who talks like this?!?). Our supporting players (a.k.a., Boston Dirt Dogs — he will never say it obviously) did a great job keeping us in it, playing every day (who are you now Dan, Tom 'they did it through teamwork... they worked hard at it every day' Menino?). But we were never able to field the team with the core players healthy in 2001 (thanks to our off-season conditioning program or lack thereof). We’re going to do the best we can to win ballgames down the stretch (out Manny's hamstring once in a while in January will you?). Keep in mind that we were nine games back last year at this time (i.e., we were lousy last year too), and we almost (this ain't horseshoes Dan, especially with three divisions and a wild card) made the playoffs. We don’t intend on quitting now (yes you do, because you said the team 'dramatically fell OUT of the pennant race' in the first non-answer). Thank you for your thoughtful questions (Sean, Jerry, Uncle Barney, Cousin Fred), your feedback on the team (that's the B.C. Eagles football team, and don't forget to cc: John Harrington) and your loyalty (i.e., get all your 'unfiltered' news at redsox.com, don't you dare be disloyal and get a little truth and tough love at bostondirtdogs.com) to the Red Sox. This is the first of many (fake) chats we hope to do with the fans (within his immediate circle) on redsox.com (since they've already written the Q&A for you). We like to communicate directly with you the team’s perspective (yeah right, and nice syntax Dan... this is so mentally taxing) so we can address your feedback and concerns so we make course corrections (you should be in the House of Corrections for staging such a phony chat scam like this one) on that.